Employees are the heart of your business – they drive your vision forward – and investment in them will add to that momentum. With the correct HR policies and procedures in place, your team will be engaged and motivated, and be advocates for your business; contributing in every way to your company’s success. Human Resources is about people. Therefore our business is built on strong relationships, integrity and trust. Our clients think of us as they would an in-house HR department. We are flexible, accommodating and able to respond quickly, whenever you need us. We are happy to support you on a retained, ad-hoc or project basis. GFHR is as an Independent HR Consultancy based in Tunbridge Wells, just down the road from Sevenoaks. We work with a wide range of SMEs from a variety of industry sectors throughout the South East. You can get in touch with us today on: 01892 300360 or 07789 869282 . As a growing business you need flexibility from a HR consultant, so that’s exactly what we provide. From establishing your goals and writing policy, to conducting interviews and appraisals, we can support you like an in house HR team would. We can help you get the best out of your team members. We’ll make sure everything you do complies with the right legislation. We’ll help your business run smoothly with the right policies and procedures. We’ll help you find the right people for your business. We’ll help you securely manage all your HR information and tasks. We’ll help your team stay on top form and get back to work after illness. We’ll help you manage change within your business well. We’ll help you support your staff and keep up with the latest legislation. Need help with a service, or got a question? Keep up to date with all the news, information and happenings in the industry. We will offer tips to help your business, and give you an insight to how we can help your company grow successfully. We have been working with Gemma for some time and she has been our “virtual” HR manager, sorting out our handbooks and dealing with some very sticky staffing issues. With her on board, we can all take a deep breath and know that not only are we in the safest hands, but that all of our policies are up to date and our staff are being well looked after. We have grown in size over the last few years and Gemma has been invaluable with her knowledge and resources from Breathe. Our team/staff now have instant access via the APP on their mobiles for holiday requests and for reporting to their line managers respectively. The website is easy to navigate around and Gemma is at the end of the line for any immediate queries. 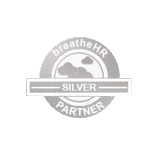 We would highly recommend the use of Breathe HR as a Consultancy as your business grows, the support has been invaluable. We have used Gemma Farina HR on two occasions recently and can highly recommend this service. As a small, growing business we required quick action on sensitive HR matters and the advice and support which we received from Gemma and her colleagues was highly professional. We have been working with GFHR since our business began 7 years ago and as we have grown so too has our reliance on them. The BREATH HR was introduced to our business in 2016 and we have really benefitted from the coordinated approach to our HR needs this provides us. It gives us a single point of reference and is now an essential management tool as our business grows.